Not talking about a Minolta lens for a change. 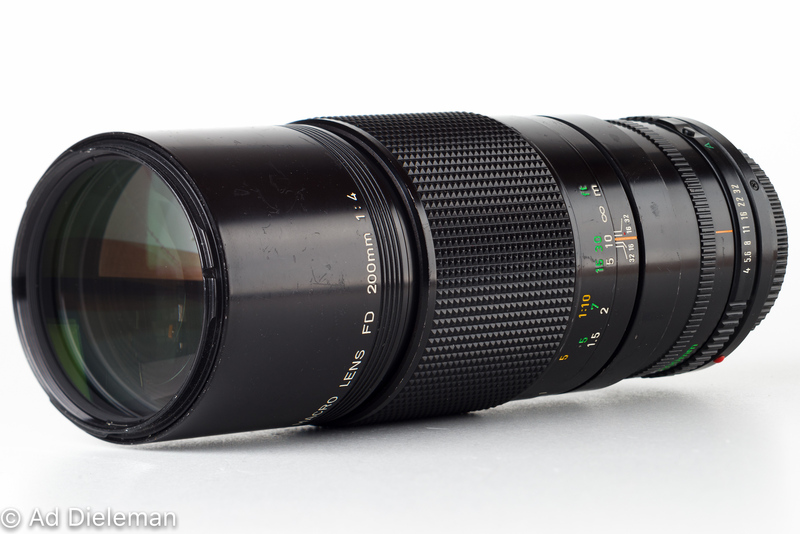 For some time I’ve been wanting to get a macro 200mm lens because I like the telephoto perspective for close-ups, especially when it comes to smaller lenses. They just look better to me that way. And if you don’t want to spend a truckload of money options are few, effectively limited to a Nikon Micro-Nikkor 200/4 AI(S) or this Canon FD macro 200mm.